Money the Liberal government earmarked for the well-being of Indigenous children is actually spent on programs to "attract mining investment." Carolyn Bennett’s story isn’t adding up. 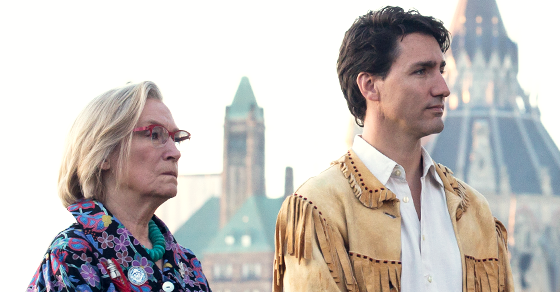 Despite sunny rhetoric suggesting they’re taking a different approach towards Indigenous Peoples in Canada, the Trudeau government is having a hard time backing up its word. In a recent interview on CBC Radio’s The Current, Indigenous and Northern Affairs Minister Carolyn Bennett boasted that the federal government was spending “almost $200 million” on the well-being of Indigenous children. Not only is there no evidence​ Canada is spending $200 million, but internal documents obtained through Access to Information by York University’s Anna Stanley and reviewed by PressProgress suggest money Bennett claims to be earmarked for the well-being of Indigenous children is being spent to “attract mining investment” instead. In January 2016, the Canadian Human Rights Tribunal ruled that the federal government discriminates against First Nations children on reserves by offering up to 38% less in spending for welfare programs. Then last November, Liberal MPs voted unanimously in favour of an NDP motion to address the funding gap through an immediate injection of $155 million to make up for the shortfall. Despite this, the government has continued to drag its feet while at the same time touting its record on indigenous rights. WALKER: So last November, the Liberals—all parliament—passed a motion, an NDP motion on child welfare that called for an immediate injection of $155 million to ensure that the government complies with this human rights tribunal ruling. When will that money start flowing to communities? BENNETT: We’ve got the extra money for Jordan’s Principle with that is allowing 1,500 more kids in care. But we’ve also put money out to each of the agencies to develop their needs, develop their cultural programs. We’ve also increased the dollars to the agencies for their maintenance and those kinds of things. WALKER: How much of that money has gone out? BENNETT: So it’s almost $200 million. As Stanley points out, the only way to square Bennett’s $200 million claim is by including a number of expenditures that have questionable relevance to Indigenous kids. One “exciting” example Bennett pointed to during her CBC Radio interview was the Liberal government’s investments in “comprehensive community planning” – except the government’s Comprehensive Community Planning Initiative is just a framework for community decision-making, it has no direct impact on the well-being of children. What’s more, that Initiative receives funding through something called the Strategic Partnership Initiative, a national program designed to “identify emerging economic opportunities.” Internal documents show that the Conservatives put forward almost $16 million towards the Initiative, while the Liberals have committed an additional $5.6 million dollars to keep it running over the next three years. 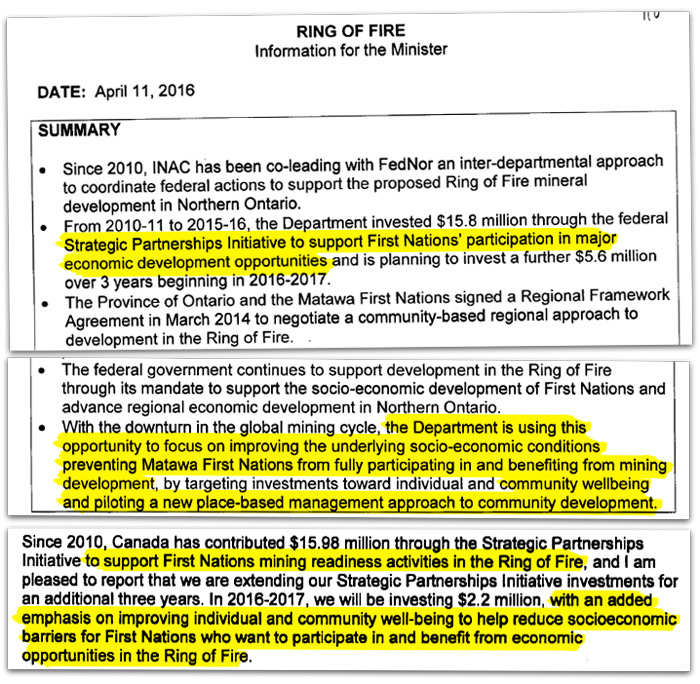 The documents also suggest the Liberals are proposing to fund CCP from the First Nations Infrastructure Fund from which INAC is hoping to leverage approximately $700,000. While community planning only represents a part of the Strategic Planning Initiative’s total budget, other spending is exclusively focused on subsidizing natural resource development. It remains unclear which $200 million Bennett believes has already gone out the door considering the last budget only earmarked $71 million and, of that, parts of it appear unrelated to the well-being of children. "The thing about the CBC, I gotta tell you guys, is the whole place is run by women. I'm working for women ... It's ridiculous." 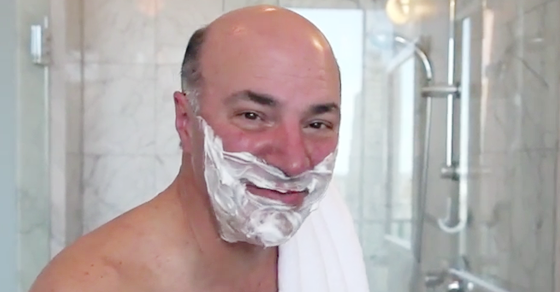 Kevin O’Leary thinks “working for women” is “ridiculous”? That might pose a problem for someone aspiring to be Prime Minister, considering O’Leary’s seeking a job where over 50% of his potential bosses would be women.